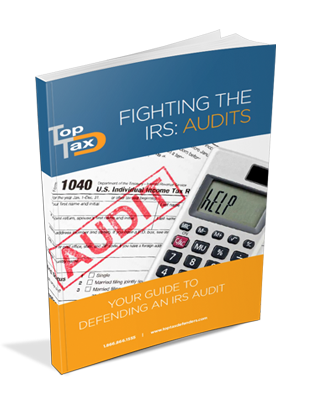 Are you fed up with the amount of money the IRS takes every year? Fine, but that doesn’t mean you can stop paying them. Intentionally refusing to pay is tax evasion, and it’s not a solution to the problem. Tax evasion is deliberate underpayment or non-payment of taxes. Any person, corporation or organization who evades paying taxes is engaging in illegal action. This is a federal offense under the Internal Revenue Service (IRS) tax code and punishable by law. Tax evasion can apply to all types of taxes, including income tax, sales tax, employment tax, and other federal, state and local taxes. Don’t be fooled into thinking you’ll get away with non-payment by failing to submit your tax forms, because if it can be proved you did it intentionally you will be on the hook. Tax evasion and tax fraud are two sides of the same coin. Tax evasion is a type of tax fraud, and it is usually easier to prove a taxpayer willfully avoided making tax returns than they planned to criminally defraud government. As a result, it carries lower penalties and has slightly more wiggle room (a.k.a. benefit of the doubt), but the margin is small. Legitimate tax deductions, which taxpayers offset against business expenses to lower taxes payable. Taking advantage of IRS-approved tax credits offered as encouragement for actions such as improving environmental friendliness of a home or business. Making use of acceptable tax shelters such as 401 (k) plans to postpone payment of taxes. Avoiding unnecessary taxes is legal, and your accountant or tax consultant will help you find ways to reduce your tax bill. Breaking the law has consequences, whether intentional or not. Tax evasion cases are typically prosecuted by federal or state agencies, depending on the law that has been violated. An individual convicted of felony tax evasion could be fined up to $250,000, or receive a prison sentence of up to 5 years. For a corporation, the fine could be up to $500,000. The punishment depends on the value of the tax evasion, as well as issues such as whether you carried out multiple counts of evasion, received income from criminal sources, or used sophisticated techniques to commit the felony. Some offenders receive probation sentences lasting between 1 and 3 years, which can be extended if they violate the terms and conditions of the sentence. In other words, it’s not a walk in the park! You can claim you made a mistake about declaring some of your income or the date by which your returns were due, but you’ll need to be able to provide some evidence to back up your story. At the same time, the prosecuting agency will have to disprove the story, which may be difficult and could result in charges being dismissed if they can’t. You can claim insanity or entrapment, but once again will have to provide some evidence to support your claim. If more than 6 years have passed since the alleged evasion, you might be able to use the statute of limitations as a defense. If you relied on a professional who failed to submit your taxes, as long as you can prove that you provided them with the information you may be able to use that in your defense. Don’t wait until you can’t see the light at the end of the tunnel. If you think you might be facing tax evasion charges, the sooner you contact Top Tax Defenders, the better you’ll sleep at night.